PARIS — France striker Kylian Mbappe has revealed he played the World Cup semifinals and final with a back injury he hid from his rivals. In an interview with France Football magazine, Mbappe says he displaced three vertebrae in his back during the tournament in Russia three days before France defeated Belgium 1-0 in the semifinals. France won the World Cup with a 4-2 victory over Croatia in the final. 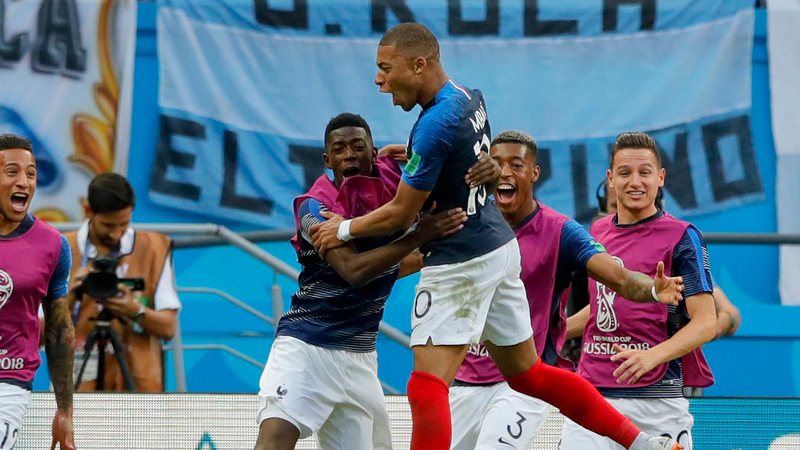 "It was essential not to alert our opponents, otherwise they could have taken advantage of that and targeted this sensitive area," said Mbappe, who scored four goals in the tournament including one in the final. "That’s the reason why with the staff and the players we kept it hidden, even for the final." The 19-year-old Mbappe was one of the stars of the tournament and picked up the award for the best young player at the World Cup. He became the youngest player to score two goals in a World Cup game since Pele in 1958, and also became the first teenager since Pele to score in a World Cup final.